2018 BACC Annual Meeting & Networking Dinner @ Tuscan Kitchen - Nov 28, 2018 - Burlington Area Chamber of Commerce ? The Burlington Area Chamber of Commerce Annual Meeting is a dinner event that welcomes the community's business leaders to wrap up the Chamber's year of activities. This informative program highlights the Chamber's accomplishments for the year, as well as goals for the upcoming year. Tom Leyden, Sports Director at Boston 25 News will deliver the evening's keynote speech. Leyden joined Boston 25 News as Sports Director in April, 2015. 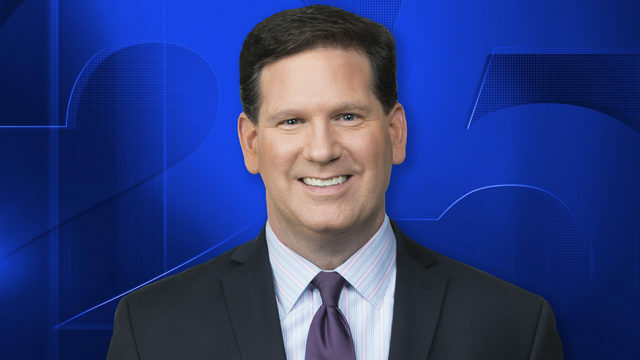 He anchors sports and hosts special sports programming, including "Boston 25 Sports In Depth." Tom grew up in Connecticut and is a Boston College graduate. He joined Boston 25 after working for 10 years at WXYZ-TV in Detroit, where he served as Sports Director from 2012-2015.He always tries to appeal to a broad audience, not just the hard-core sports fan. "I can talk x's and o's, but I really enjoy speaking to people who may not know a lot about sports and trying to make the story mean something to them, too. Emotion has always guided me in my story-telling." Tom has received 30 Emmy nominations over the course of his career and has won 11 Emmys. The documentary, “Needham/Wellesley: More Than A Game,” was nominated for a New England Regional Emmy in 2016 and the "Boston 25 Sports In Depth" program received two New England Regional Emmy nominations in 2018. While at WXYZ, the Associated Press recognized Tom with its Best Sportscast award four times. He also earned the Best Sportscast award from the Michigan Association of Broadcasters in 2013 and hosted Lions GameDay Live from 2012-2014.